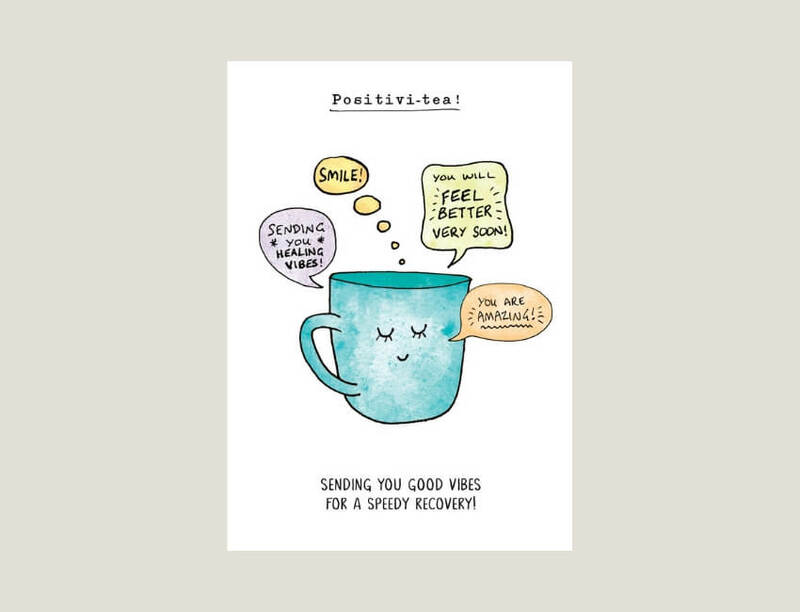 We believe that sending a card is one of the simplest ways to make someone’s day special and each of our cards is designed to raise a smile. We offer cards for all occasions, from a collection as wide and varied as the customers that come through your door. A contemporary floral range using fashion-inspired patterns in fresh joyful colours that play into current pantone trends. Gold foil highlights deliver simple birthday captions to complete a range that is both varied and harmonious. Fresh, bright colours combined with playful pom-poms make Pom Tiddly Pom Pom a greetings card range that really stands out from the crowd. Each card within the range features a topical and fun illustration aimed at contemporary shoppers that prefer simple design styles. Created by The London Studio, Slice of Life is a quirky illustrated series of bread-based characters. Each design offers a humorous twist on the usual greetings card caption that will have you grinning from ear to ear. A stylish range with a retro feel, influenced by vintage advertising and art prints. In the range you’ll find an eclectic mix of pattern based graphic designs, overlaid with a mix of typography and fonts, all brought out by a bold colour palette. 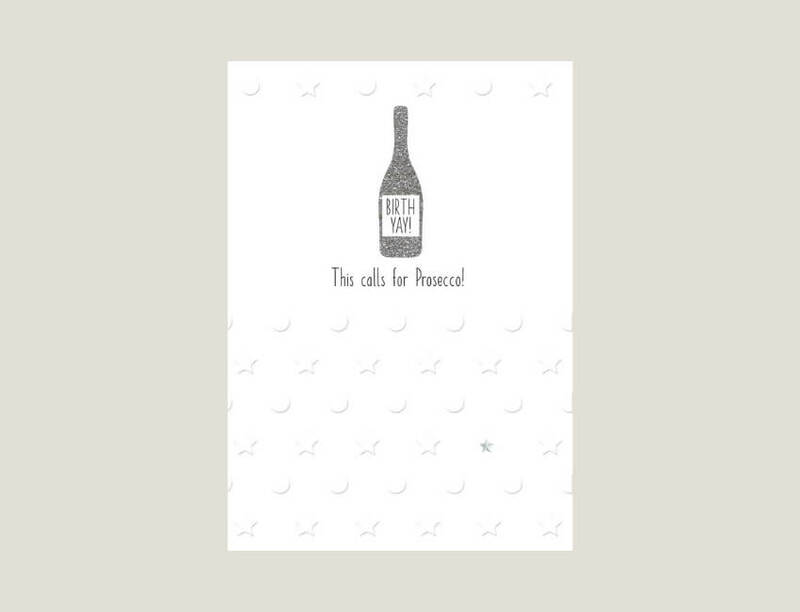 Pun-tastic is a cheeky greetings card range of original illustrations from The London Studio. Each illustration is matched with an ingenious pun that is guaranteed to make the receiver smile. A kraft envelope completes the final look perfectly. A playful and relatable range of greetings with themes based on sports and typical male hobbies. Simple graphic icons appear alongside topical captions, all featured in vibrant colour. Quite simply, it’s a jolly good range for chaps. An elegant range with simple, on-trend themes that you cannot go wrong with. Each design appears on a luxurious white board with a stylish emboss theme, combined with silver flitter, a gem and a snappy caption, plus a silver envelope to complete the look on shelf. 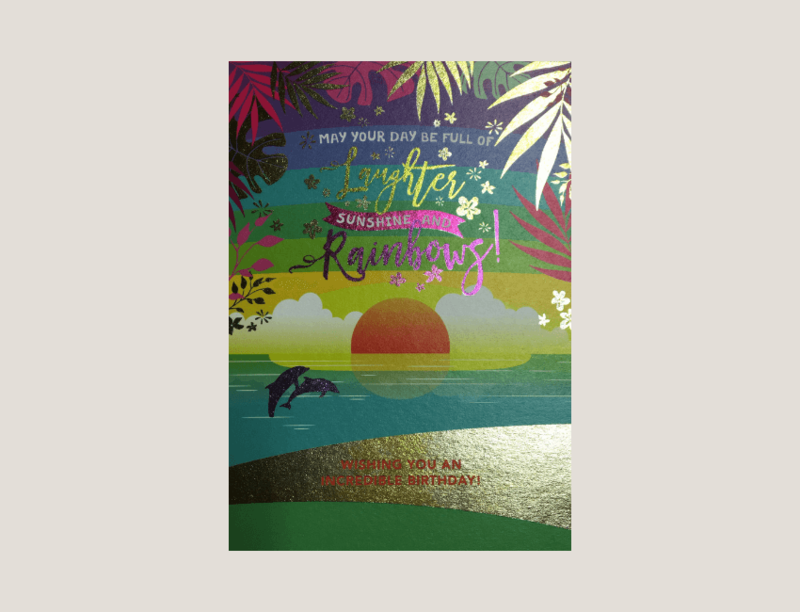 A dazzling and inspirational range from The London Studio, Time to Shine features a vibrant cold foil signature look. Each design has a magical feel, with glorious attention to detail and motivational captions that resonate with the current trend for mindfulness.